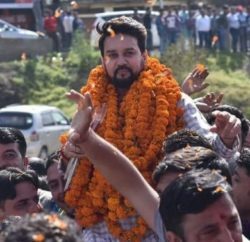 BJP MP from Hamirpur and national president of the BJYM Anurag Thakur was elected as the president of the Himachal Pradesh Olympic Association today. 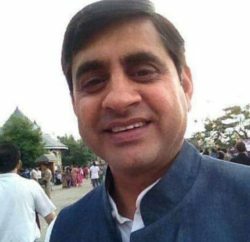 He was elected unopposed at the annual general meeting of the Himachal Pradesh Olympic Association. The meeting was held in the presence of ID Nanavati, observer from the Indian Olympic Association. Anurag Thakur is also president of Himachal Pradesh Cricket Association, Joint secretary, BCCI, President Himachal Pradesh Rifle Association, Executive Member of India Olympic Association. 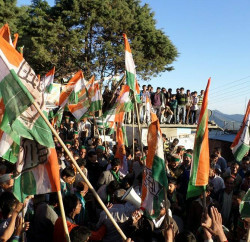 Interestingly, all the officer-bearers of the Himachal Pradesh Olympic Association were elected unopposed in the today’s election. The other office-bearers include DD Thakur senior vice-president, Sanjeev Katwal, vice-president, Sushil Baradwaj, vice-president, Varinder Kanwar, vice-president, Rajesh Bhandari, secretary, Ramesh Chauhan, joint secretary, Ishwar Rohal, joint secretary, Ajay Sud, treasurer, Una Barowalia, Mohit Sood, SD Rattan, Munish Sharma and Satinder Trehan as ex-officio members. Anurag Thakur is credited for promoting cricket in Himachal Pradesh and under his leadership HPCA ground Dharamshala is known as a second home for Kings XI Punjab and picturesque cricket ground is also set to host international matches as it is approved by International Cricket Council (ICC) to host one-day international (ODI) and Twenty20 matches.